The majority of Canadians are now committed to protecting the natural environment by recycling their used containers and other household products. But many are still unaware of the advantage to the environment in recycling an older vehicle. Automotive recycling holds tremendous benefits for the environment over using new materials to build brand new vehicles. 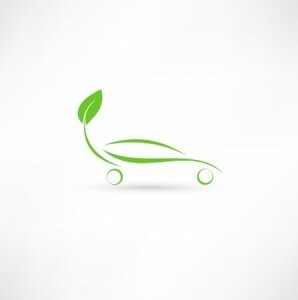 In this blog, we’ll review the environmental advantages of vehicle recycling in greater detail. Vehicle manufacturing processes are responsible for the release of a large amount of greenhouse gases. And the production of vehicle construction materials such as steel and iron leads to large increases in the amount of toxic elements in the atmosphere. Studies show that if every person in North America recycled one vehicle in their lifetime, the amount of gas being released into the atmosphere could be reduced by over a billion tons. And so vehicle recycling can help to tangibly improve the quality of the air we breathe. Cars are often abandoned when they’re no longer roadworthy. Around the globe, many such vehicles are disposed of in ways that affect the natural environment in the long-term. Elements such as break fluids, coolants, gasoline and power-steering fluid can leak into waterways when the vehicle is not disposed of professionally. And that’s why it’s imperative for vehicle owners to speak with recycling firms about how to ensure all components are safely disposed of in ways that do not harm the environment. Materials such as lithium are said to be in short-supply. In the near future, energy companies may be forced to delve into more environmentally-sensitive areas to find the available material for use in auto parts manufacturing. By recycling their cars, vehicle owners can help make sure that such materials are re-introduced to the marketplace and also ensure that natural areas are protected against further exploitation. This is one of the important roles that vehicle owners can play in conservation. By working with specialists in their local region, vehicle owners can highlight their commitment to the natural environment through automotive recycling. To learn more about our recycling program here at Woodbeck Auto Parts, contact our offices directly. One of our on-site representatives will be happy to discuss our recycling systems with you directly.